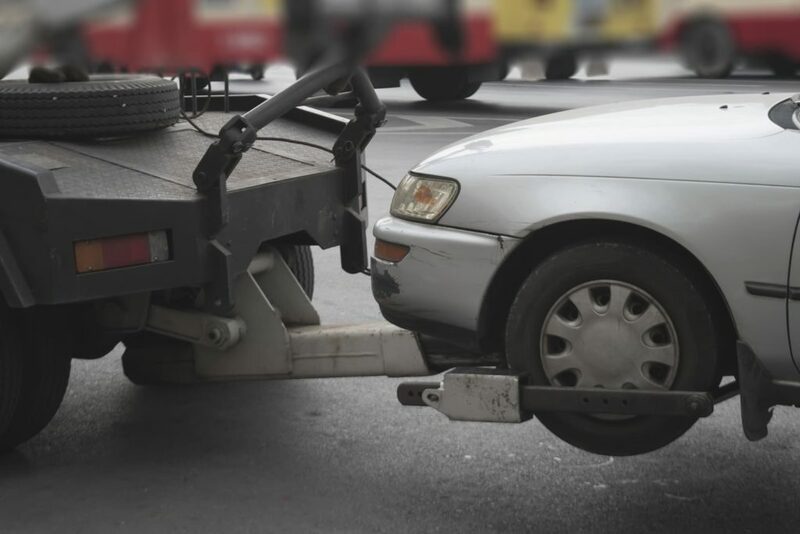 If you are calling towing companies in NJ, chances are that your vehicle is damaged. The last thing you want is for your vehicle to sustain further damage while being towed, adding extra costs and stress to an already unfortunate situation. The best way to avoid is to hire a trusted tow truck company, however it’s always recommended that you take extra precautions. By making sure to take the following safety precautions before your vehicle is towed, you can prevent serious issues down the road. A common mistake that drivers make during a tow is leaving the emergency break on. If your vehicle is towed away with two wheels on the road and the ‘E-brake’ on, your vehicle could be seriously damaged. Vehicles with an automatic transition can be towed safely ‘in park’ as long as the non-driving wheels are on the ground. Manual transmission vehicles can be towed on any wheels when in park. If your vehicle needs to be towed by a flatbed, the brakes aren’t as much of a problem, but the emergency brake should still be off while the vehicle is being hoisted onto the flatbed. Any time your vehicle is towed, remember to roll up the windows. Weather is unpredictable and you don’t want to pick up your vehicle only to find a rain-soaked interior. Also, any dust and debris that is kicked up from the back of the tow truck can enter the vehicle and harm it’s interior. By simply rolling up the windows, you can avoid having to have your vehicle’s interior detailed, repaired, or even replaced. For a few reasons, taking photos is an essential step before calling towing companies in NJ. First, you’ll want the photos for insurance purposes after an accident. This way, you can prove that the damage didn’t occur after the date of your claim. You also want to protect yourself from unscrupulous mechanics. 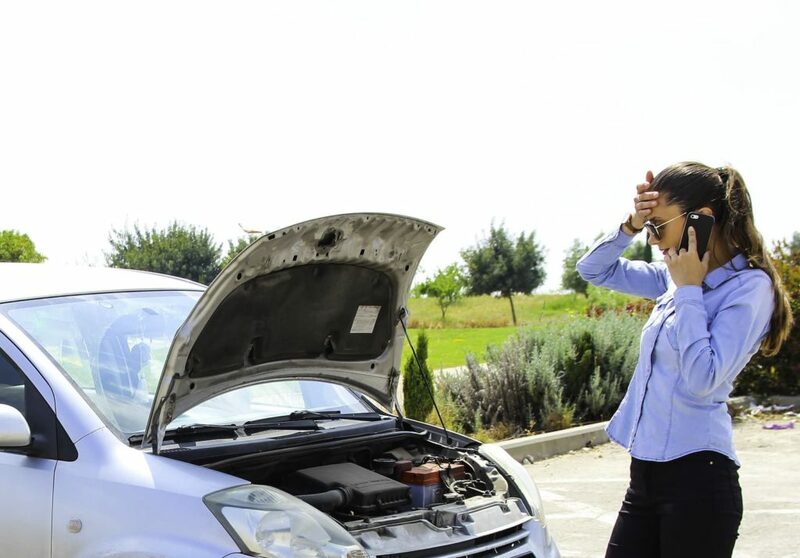 Some mechanics could potentially ‘fix’ something that wasn’t damaged before you brought the vehicle in for repairs. Without a thorough inspection and photographic evidence, there would be no way to prove this. Make sure to take out your smartphone, snap a few pictures and thoroughly inspect your vehicle before it is towed. For the best chances of a tow going smoothly, make sure to call trusted and experienced towing companies in NJ. Anything can happen out there on the road, so you’ll want drivers with the experience and know-how to driver defensively while moving your vehicle from point A to point B. You’ll also want a company that treats your vehicle with care while lifting, towing, and unloading. A good towing company in NJ will also make sure that you have taken all the proper precautions before they lift your vehicle. Keep the phone number of a trusted tow truck company on hand in the case of an emergency. At Accurate Towing Service, we understand how frustrating or scary breaking down on the side of the road can be. If you need a vehicle towed, you should contact one of the most trusted towing companies in NJ for emergency roadside assistance. No matter the size or condition of your vehicle, we have the experience and the equipment to handle it. With decades of experience and dedicated to superior service, you can trust Accurate Towing get your vehicle off the side of the road safely. They also offer expert repair service to get you back on the road. It’s always good to have the phone numbers of towing companies in NJ before you need it. Save our number in your phone today.